Pharmacies in Nebraska could provide remote drug dispensing under a bill heard Jan. 18 by the Health and Human Services Committee. 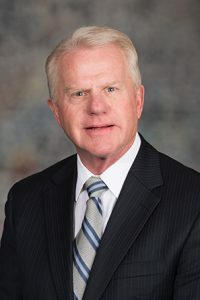 Gothenburg Sen. Matt Williams, sponsor of LB731, said the bill would improve access to prescription medications in rural and underserved areas of Nebraska. Under the bill, a pharmacy could provide remote dispensing at a location staffed by a certified pharmacy technician and owned by a supervising pharmacy licensed and located in the state. Williams said many small, rural Nebraska communities have lost pharmacies due to retirements, leaving residents without convenient access to their prescription medications. 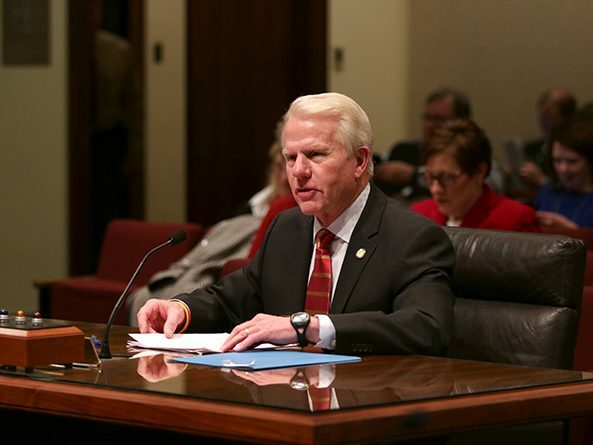 Neighboring states have faced similar situations, he said, and the bill is patterned on laws adopted in Iowa, Minnesota, North Dakota and South Dakota. “LB731 provides a framework for remote dispensing to occur in Nebraska with legal requirements in place to enhance and ensure patient safety,” Williams said. Under the bill, a remote pharmacy would have to be located at least 10 miles from the nearest pharmacy and dispensing would occur under remote supervision via a real-time audiovisual communication system by a licensed pharmacist employed by a supervising pharmacy. A remote dispensing pharmacy would be required to have the same pharmacist in charge as the supervising pharmacy, who would be responsible for drug utilization review, final verification and supervision of the remote dispensing pharmacy. A separate license would be required for the remote dispensing pharmacy. Travis Maloley, a Lexington pharmacist testifying on behalf of the Nebraska Pharmacists Association, supported the bill. He said the nearby town of Franklin has lost its pharmacy and he has been approached by residents who would like to see the pharmacy reopened. Joni Cover, CEO of the Nebraska Pharmacists Association, also testified in support. Nineteen other states are successfully offering remote dispensing, she said, and Nebraska would benefit from joining them. Currently, she said, it is a struggle to keep pharmacies in rural communities. “With an aging workforce and reimbursements the way they are, it’s challenging,” Cover said. No one spoke in opposition to the bill and the committee took no immediate action on it.